I address you today with sad news. At the beginning of the year, I gave myself an artwork challenge. One stipple portrait per month (Year-long Challenge – 2017). In that, I failed miserably. I completed three and a quarter portraits. Then things got busy. We had our summer cruise, which was fantastic. 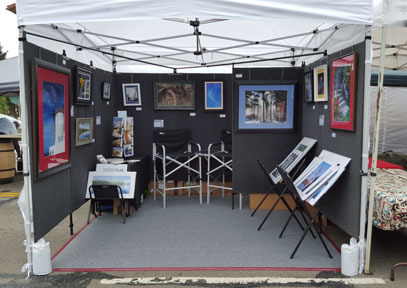 Then we came home and went right into our back-to-back weekends at art fairs. The fall and winter have been no less hectic. I’m not making excuses as to why the artwork wasn’t done, I’m just pointing out how much stuff there is complicating my life. I’ve had to make hard choices about what’s important, and what I need to spend my time on. 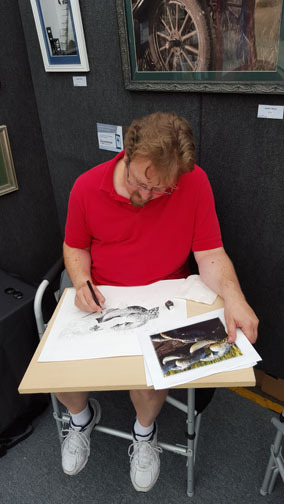 The conclusion I’ve come to is that I need to step away from the art fair side of things. I will not be continuing to post on this MAS Artwork blog or going to the art fairs (unless it’s to help out and support my wife Alyx while she does it). Important! Alyx WILL continue to write this blog and do art fairs. The focus will be solely on her photography. Although I will not be actively posting or marketing, I will nevertheless keep hosting my online presence www.masartwork.com/art, and prints will still available at my website for anyone who would still like to purchase my artwork. Thank you for all your support, and I hope I will get my life in order enough to return. I’ll see you all then. Feel free to stay in touch. Well, our first art fair of the year is almost upon us, and Craig and I are busy with all the preparations. We’ve got our tent, panels, inventory (including some new stuff), and water . . . you need plenty of water! 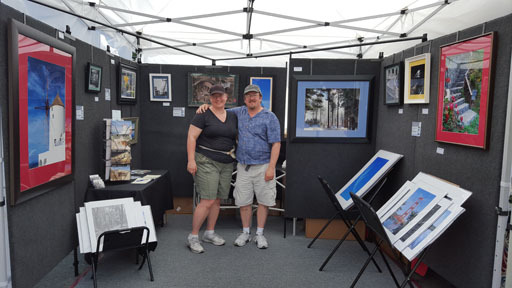 We really enjoyed our first art fair last July (which we’ll do again this year), but this Spring Arts Festival promises to be a lot of fun, too.